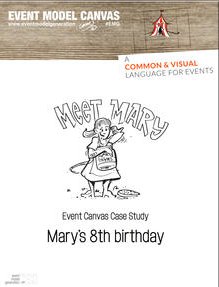 How would the creators and visualizer of the Event Model Canvas explain the use of the canvas to their very own kids? This story is an example of what that story could look like in a children’s pictorial book. This book is a first instalment of the upcoming event model canvas workbook for high stakes events. Click on the image for the iBook in iTunes store.